We all have our own vivid memories from our childhood – family vacations, friends long gone from our social circle, siblings we now see only once or twice a year, TV shows and movies we followed avidly and of course, toys. 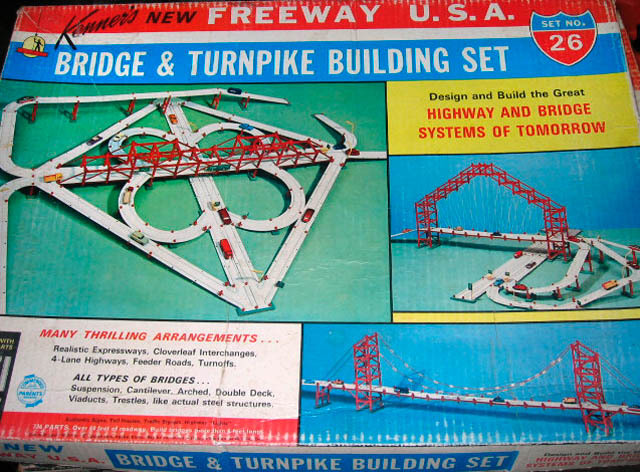 For many boys growing up in the era before the advent of video games, construction toys were always popular. Here’s a look back at those far away days. 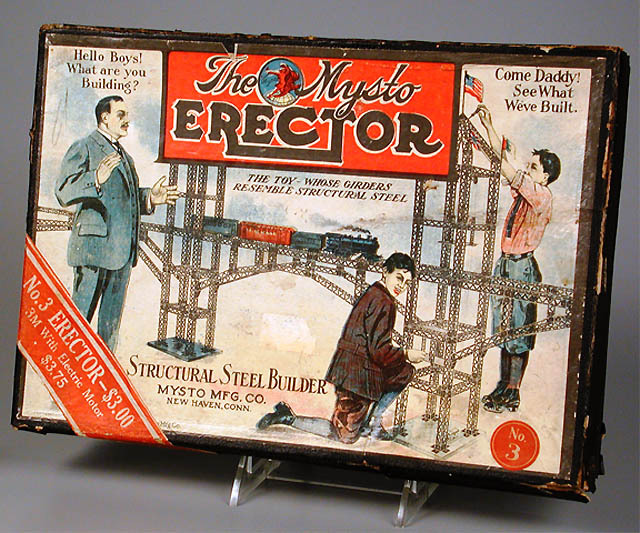 The Erector Set was first manufactured in 1913 and remained in production until 1967. Similar to the older British product Meccano, the set had a collection of small metal beams, with holes for screws, nuts and bolts and for attaching devices such as pulleys, gears and even small electric motors. 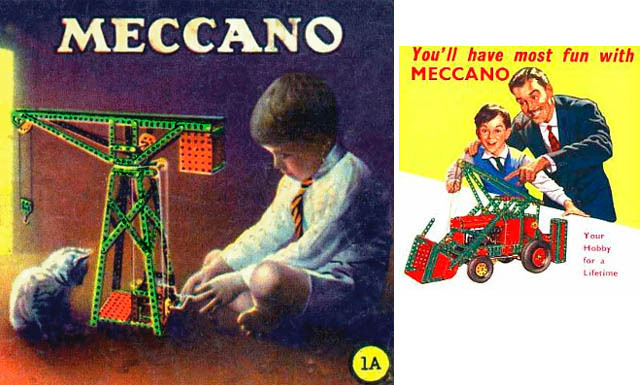 In Britain, Meccano was invented in 1901 and enjoyed great popularity in the 1930’s, 40’s and 50’s. 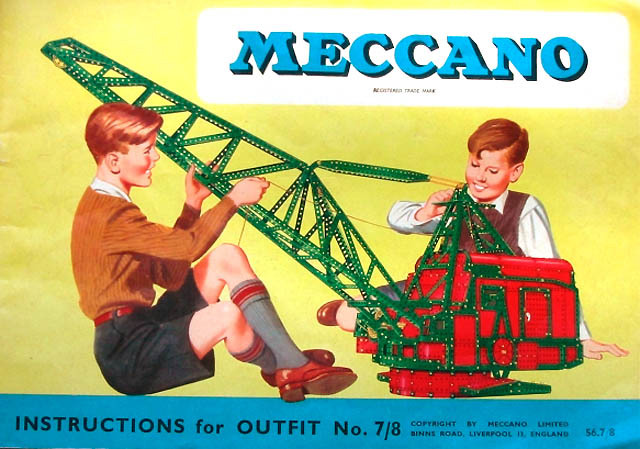 Meccano was manufactured in Liverpool from 1914 until 1980, and is now made in France and China. 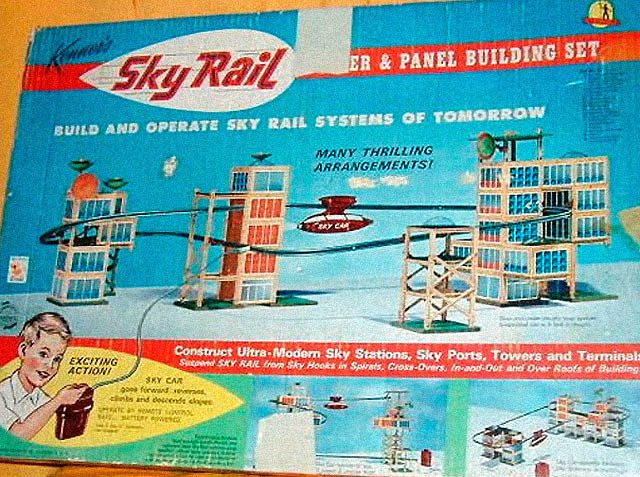 But look closely at the Sky Rail picture. The monorail vehicle is too large to fit through all the gaps in its course :) . Makes me think of how few kids over the last 20 years actually had toys like this. 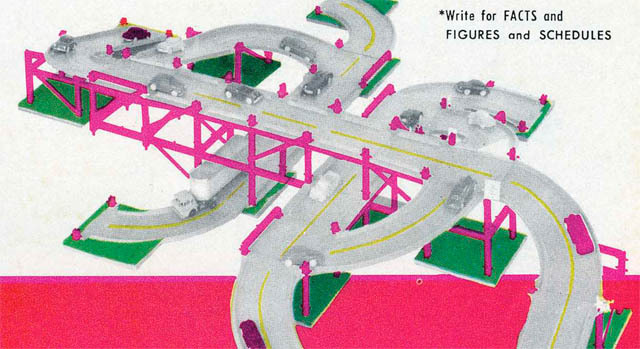 Toys you had to build with your brain and hands rather than just wiggle your fingers playing with a game controller. Thank goodness Lego's are still with us. The "Tank kit" looks a lot more like a knocked out armoured car. 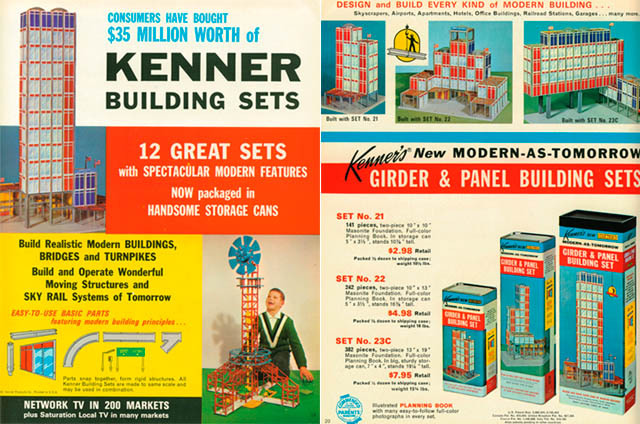 Oh man I totally had that 'Girder and Panel' set. I would build skyscrapers and then knock them over because of a "freak tornado". Totally prepared me to become an architect. 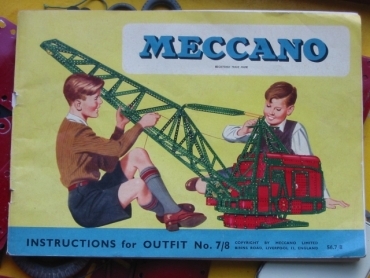 I had a Meccano set as a kid in Denmark in the fifties. It also had the 220v. motor. Got electrocuted many times. Wish I still have it. 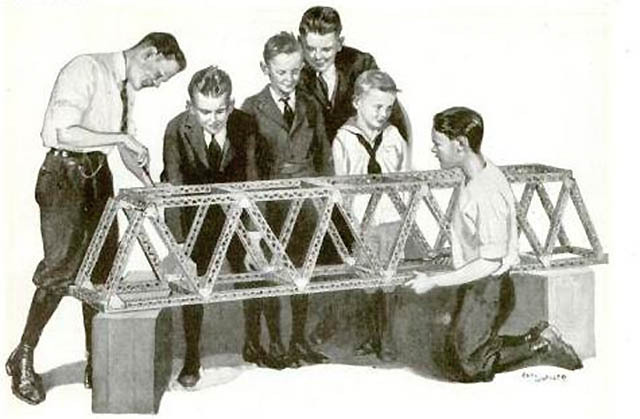 I must have had one of the last Erector sets. 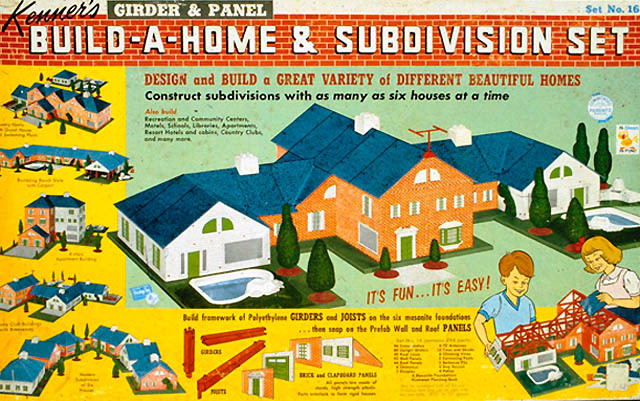 And a Girders and Panel kit. Thank you for posting pics of the Klikit kit! I've been trying to describe that toy to friends for over 25 years and they all looked at me like I was nuts! 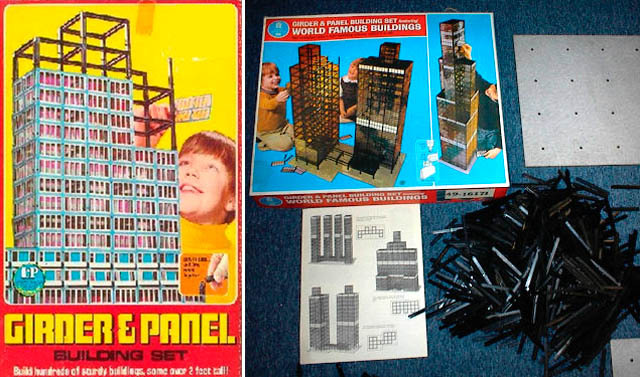 I used to play with that and the girder and panel kit for hours at a time. Never knew the name til now. Thanks! I'm not sure I understand the 'blasphemy' reference at the start. Is it because Mechano and Erector predated Lego? Is plastic more religious than metal? you can read David's comment on the reason of blasphemy..
they were so awesome that no one would believe today that those existed! 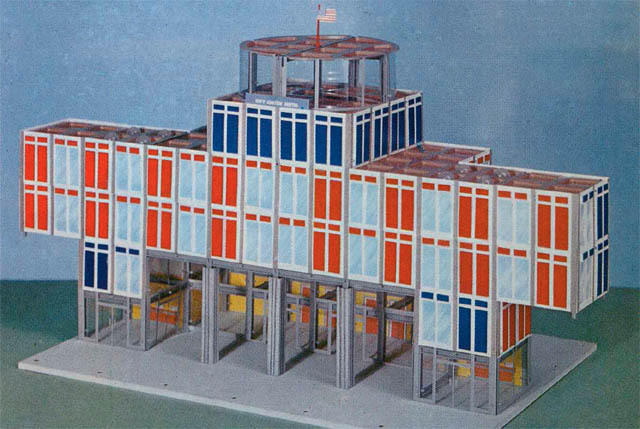 Super City was truly cool, it could be used with Ideal's Motorific car sets and Boaterific too ! I used to have that exact Hydro-Dynamic kit when I was about ten. I remember it well. Happy days. 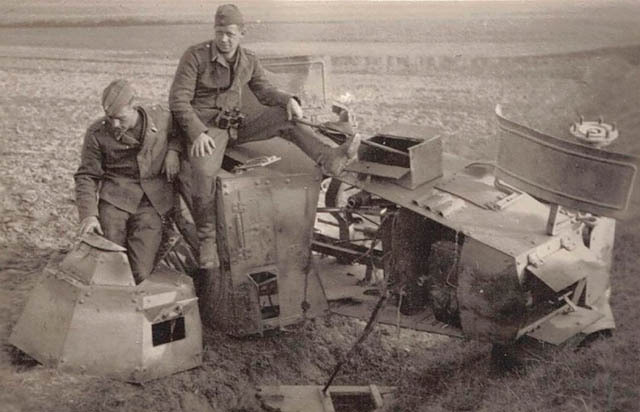 The Tank Kit is a wz34, Poland 1939. 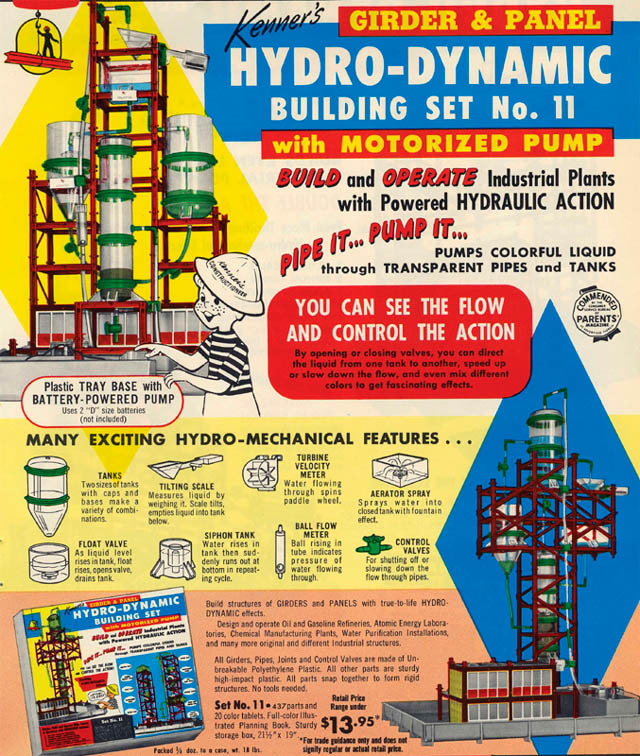 I HAD the Kenner Hydro-dynamic set when I was a kid. It was great - til I burned out the pump motor. 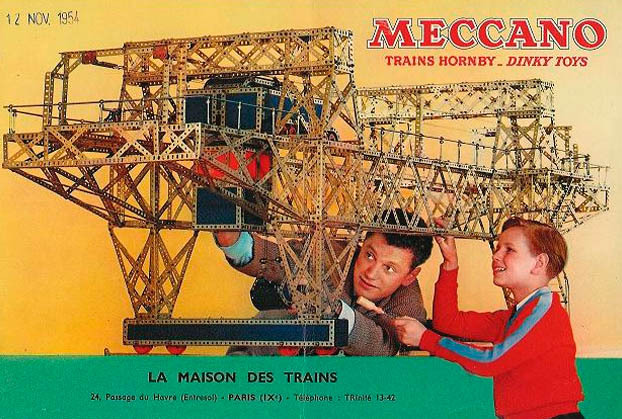 Meccano is still awesome! I got to play with my grandfather's kit as a child and nowadays if I come up with some mechanical idea I'll test it out in meccano and toy with ideas in that. Best real-life mechanical design mockup tool ever. It's not just a toy, it's a tool. 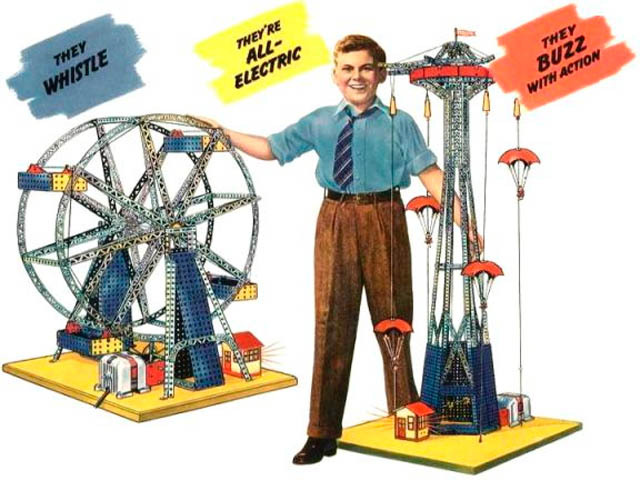 I received an Erector set one Christmas; I loved it so much that the following year I got a bigger one, with a real electric motor! My proudest achievement was the conveyor I made with it. Building stuff really is more fun than blowing it up. We seem to have forgotten to teach our kids that. Where are the girls in the images?Would not be politically correct today I'm sure. Had to smile at the pipe smoking dads and what's up with the tie and suits the kids are wearing! Must say do miss the imaginative play opportunities available vs the flat screen "toys" our kids play with today, but thank goodness for including girls and losing the cigar. Erector refreshes good memories from years ago. Nice review, thanks. 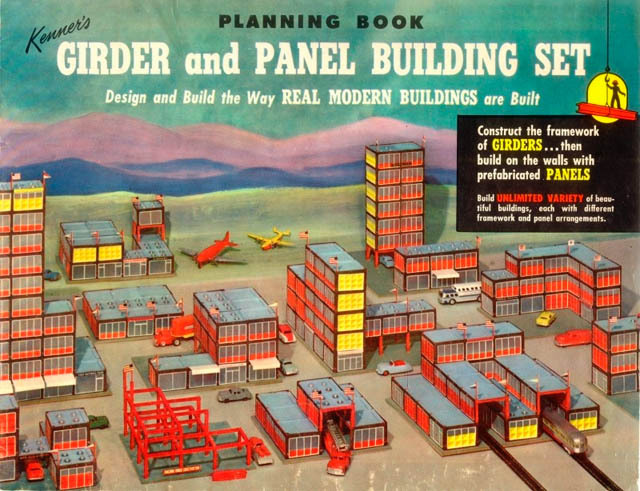 I would love to visit old construction toys museum if such one exists.